Nigeria Customs Service promotes 5 Deputy Comptrollers-General’s and 8 Assistant Comptrollers-General’s – Royal Times of Nigeria. 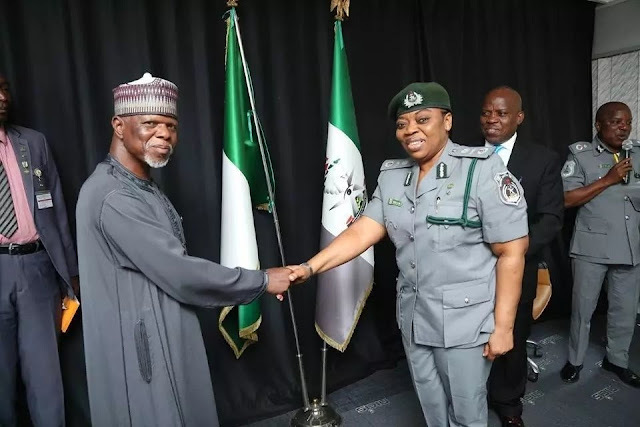 Following presidential approval, five Deputy Comptrollers-General’s and eight Assistant Comptrollers-General’s of the Nigeria Customs Service have been decorated with new ranks. 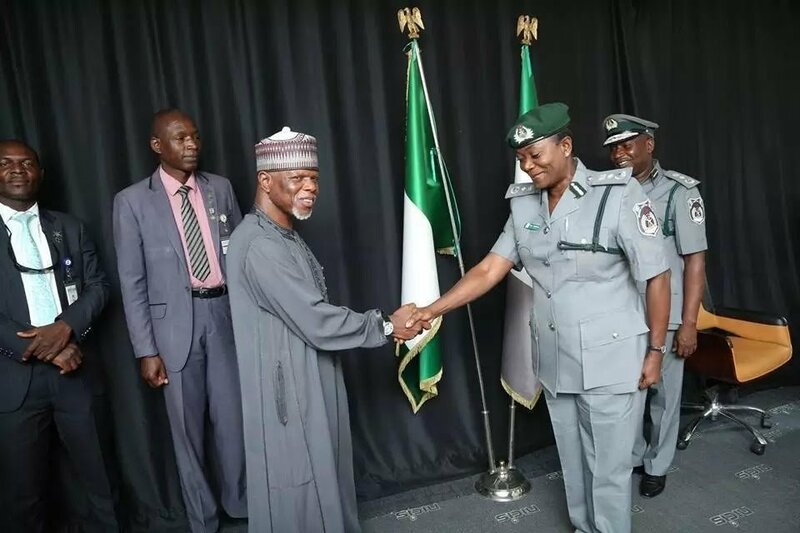 After their decoration, the elevated officers were congratulated by the comptroller general of Customs, Col. Hameed Ibrahim Ali (Rtd). 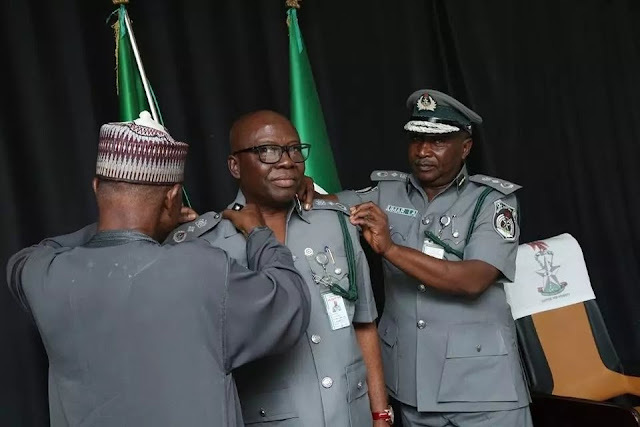 The newly promoted officers expressed gratitude to President Muhammadu Buhari, and promised not to let the nation down. The Nigeria Customs Service has decorated five Deputy Comptrollers-General’s and eight Assistant Comptrollers-General’s with new ranks, following presidential approval. 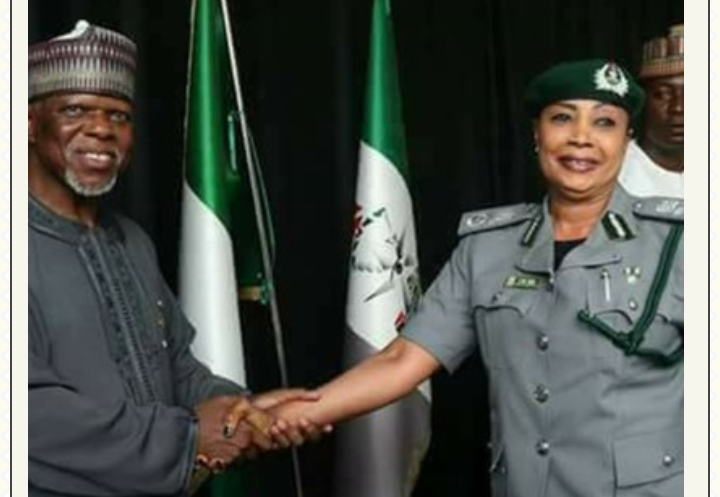 The development was made public in a statement signed by Joseph Attah, Public Relations Officer, Nigeria Customs Service. 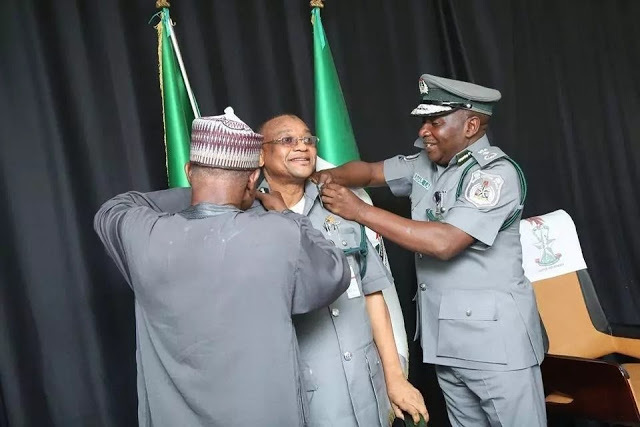 The elevated officers were congratulated by Col. Hameed Ibrahim Ali (Rtd), the comptroller general of Customs, after they were decorated with their new ranks. Ali asked them to see the promotion as a call to higher service. In response, DCG Ronke Olubiyi who spoke on behalf of the newly promoted officers, promised not to let the nation down. Olubiyi also thanked President Muhammadu Buhari for the confidence reposed on them.